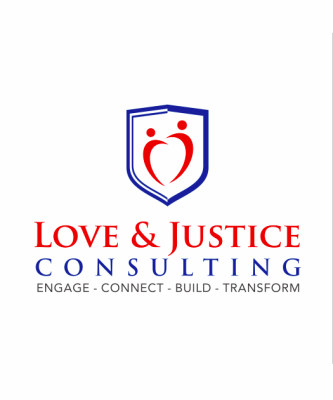 The mission of Love & Justice Consulting is to provide leaders with diversity and social justice learning opportunities to increase their capacity to effectively and authentically engage difference. Durryle Brooks, Ph.D is the Founder and President of Love and Justice Consulting, a diversity and social justice education capacity building firm with love at its center. With 10 years of experience as a diversity & social justice educator, facilitator, and trainer, Durryle has worked to increase the capacity of leaders to engage difference at the intersections in order to bring about positive change in our cultures, communities, organizations and society at large. Durryle has provided high-quality, engaging, and interactive learning opportunities in a variety of context. He works closely with colleges, universities, community and health based organizations to ensure they are equipped and prepared to lead in ways that produce culturally responsive and affirming environments, programs, and content. In order to do this, Durryle draws on interdisciplinary theories coupled with critical pedagogy and adult learning principles to maximize resonance and skill acquisition.